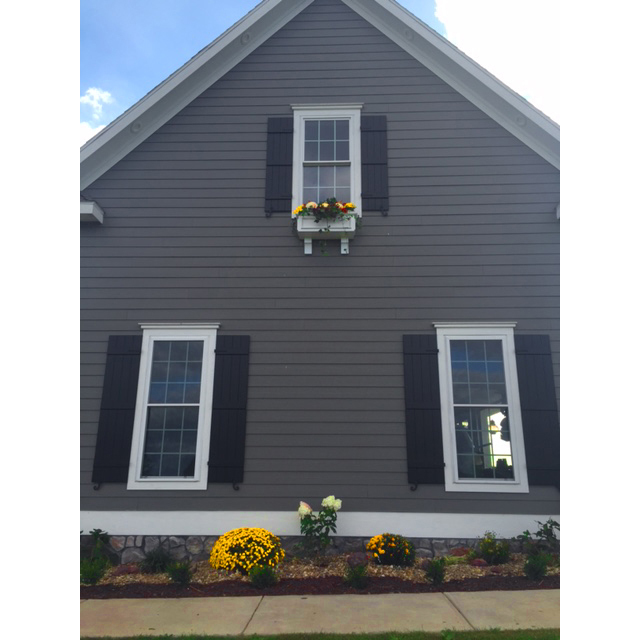 Tabitha from Kirksville, Missouri bought three sets Noralco board-n-batten shutters for the front of her home. She purchased them in response to being satisfied with her prior shutter order for a different home improvement project. First, she bought three for her garage remodel project earlier this year. Sturdy and stunning, the first set of shutters proved to be sufficient with Tabitha’s standards, so she purchased more! 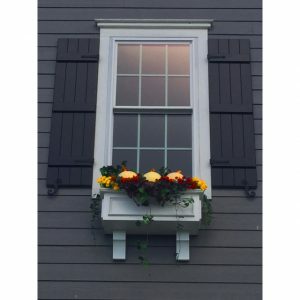 Then, she perused the selection of shutters offered on our online store –ArchitecturalDepot.com. She called one of our sales representatives to confirm some details of the shutters and continued with her shutter purchase. 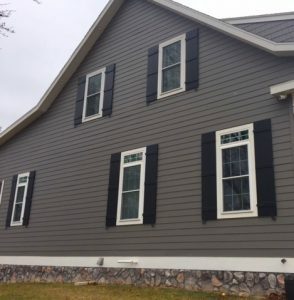 Finally content with her choice, Tabitha purchased two sets of 17 ½” by 74” and one set of 15” by 60” shutters. After she installed them, she sent us completed pictures that are at the bottom of this blog post. Noralco shutters come in a variety of different materials ranging from vinyl to composite to real wood. The particular shutters that Tabitha bought were composite shutters. Without the maintenance, composite shutters provide the look and feel of authentic wood shutters at a fraction of the price. Secondly, these shutters are made for both interior and exterior use! If these shutters are installed outside, they will be impervious to the effects of normal weather conditions! Next, Noralco composite shutters are incredibly easy to install. The installation instructions vary slightly depending on what size shutter the customer purchases. Lastly, the value of the customer’s home increases with the simple addition of top quality shutters. Please feel free to check out the entire selection of shutters via the link below!